The Canadian TV drama Sensitive Skin has been nominated for an International Emmy Award, in a year that has 40 nominees from 19 countries. Canadian television series Sensitive Skin has been nominated for an International Emmy award. The series stars Kim Cattrall as a woman whose life is in transition as she and her husband (played by Don McKellar, who also directs) sell their family home and move downtown to a new neighbourhood. It is nominated in the International Emmy category of best drama series. The dramedy, which airs on The Movie Network, won four Canadian Screen Awards in March, including for McKellar's acting and directing as well as for photography and editing. Second Skin just wrapped production on its sophomore season, set to air in 2016. Britain garnered a leading seven International Emmy nominations Monday, led by Sheridan Smith who received a best actress nod for her role in Cilla. Smith, who also has a BAFTA nomination for the same role, starred in the ITV miniseries about the rise to stardom of pop singer and TV personality Cilla Black, who was closely associated with the Beatles. The nomination was particularly poignant because Black died on Aug. 1 after a fall in her Spanish villa. At the time, Smith tweeted that she was "absolutely devastated" over the death of "a true legend" and considered it "a privilege to play her." Britain's Rafe Spall, was nominated for best actor for his role opposite Jon Hamm in the techno-thriller White Christmas, the holiday special of the Channel 4 anthology series Black Mirror. Brazil's five nominees include two shows that received double nominations. Doce de Mae (Sweet Mother), about a family matriarch who confronts issues of aging while dispensing wisdom to her children and grandchildren, is up for best comedy. Its veteran star, Fernanda Montenegro, who won the International Emmy for the same role in 2013, is among this year's best actress nominees. The Brazilian series Psi (Psy), depicting the adventures of an unconventional psychotherapist, was nominated for best drama and actor (Emilio de Mello). Norway's Anneke von der Lippe was the only other best actress nominee for Oyevitne (Eyewitness). The other best actor nominations went to Turkey's Engin Akyurek for Kara Para Ask (Black Money Love) and the Netherlands' Maarten Heijmans for Ramses. The International Academy of Television Arts & Sciences announced that 40 nominees from 19 countries will be competing in 10 categories for International Emmys, established to honour excellence in TV programming outside the U.S. The awards will be presented Nov. 23 at a gala at the Hilton New York Hotel, hosted by Egyptian satirist Bassem Youssef, dubbed "the Jon Stewart of the Arab world." France had four nominations, followed by South Africa with three, while Colombia, Japan and Argentina had two apiece. 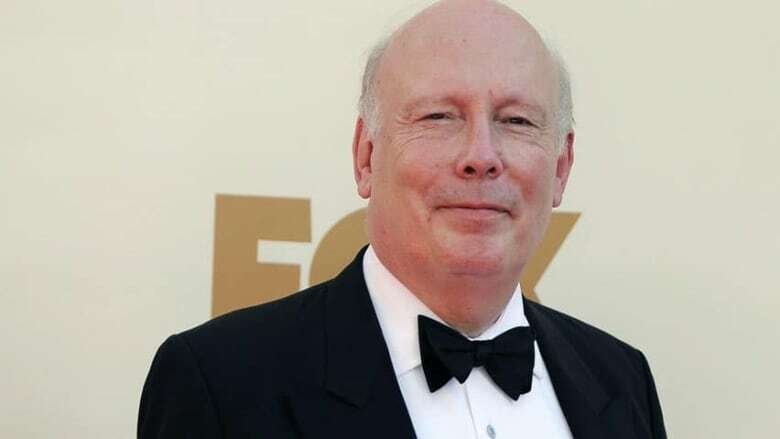 Downton Abbey writer and creator Julian Fellowes will be presented the honorary International Emmy Founders Award at the awards ceremony. Richard Plepler, chairman and CEO of HBO, will receive the honorary International Emmy Directorate Award. Last week, the academy announced its nominees for the International Emmy Kids Awards for children's programming, which will be presented on April 5 at the MIPTV conference in Cannes, France. Undercover High, which airs on YTV, picked up a nomination for best non-scripted entertainment. The Canadian series gives viewers the chance to see what happens when principals and teachers turn the tables on their students and pull practical jokes on unsuspecting high schoolers. A total of 24 nominees from 13 countries will be competing in six categories. Britain, Japan and the Netherlands lead the race with four nominations apiece.